Hydrotherapy is one of the oldest health treatments. It involves the use of water for soothing pains and treating diseases. The use of hot tubs is a traditional method for the treatment of disease and injury in many cultures, including those of ancient Greece, Rome, China, Japan and Native America. The oldest known spa still is in Merano Italy where there is evidence of organized use of the hot springs dating back to 3000 BC. It is quite possible that people soaked their tired feet in the steaming pools of ancient geysers even earlier than 5000 years ago! Archaeological evidence shows that as early as 2,000 BC, hot therapeutic baths were enjoyed by the Egyptians and that members of the ruling class would bathe in hot waters infused with essential oils and flowers for rejuvenating effects. Perhaps the first known hot tub was chiselled of solid granite for King Phraortes of ancient Persia (then called Media) in about £600 BC. Sizzling stones were placed in his tub to heat the water. The ancient Greeks were also very fond of hot tubs and, by the time of Hippocrates in around 400BC, hot tub bathing was regarded as having definite healing properties. 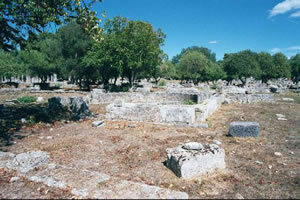 Greco-Roman medicine was based on the theory of humors. This theory held that the human body was filled with four basic substances which are in balance when a person is healthy and that all diseases and disabilities resulted from an excess or deficit of one of these four humors. (The four humors were identified as black bile, bile, phlegm, and blood - nice!). Using a combination of hot and cold baths the bodily humors could be adjusted - heating, cooling, moistening, and drying as deemed necessary - to bring them into harmony. Hot tubs were considered beneficial for most patients and this therapeutic use of spas and hot tubs was remarkably long-lived, spanning the entire classical period. 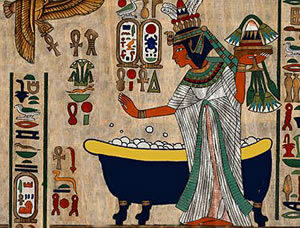 This popularity was no doubt partly due to the fact that baths were both pleasant and comparatively freely available. 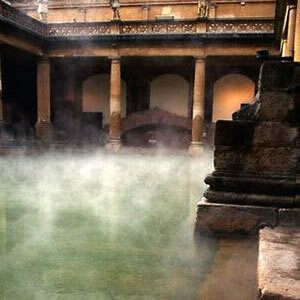 Roman hot baths were regarded not only as places for cleansing and socialising but also as centres of medical treatment. The Romans used thermal baths in numerous treatments, including soothing the chest and back pains from pneumonia, promoting good respiration and relieving fatigue. Asclepiades, a Greek physician who practiced in Rome around 100BC, was a forceful advocate of the use of both cold and hot tubs in regimens for both the sick and the healthy. Like Hippocrates, he thought that baths had power to regulate the balance of the body and he recommended their use in the treatment of many different diseases. 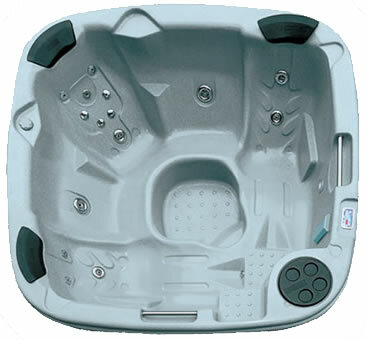 Hot tubs were also used at this time for relaxation from both physical and mental stress. Over time health spas were built across the Roman Empire, from Africa to England. These evolved gradually into full-scale entertainment complexes featuring sports arenas, massage parlours, restaurants, and even the occasional brothel! The word SPA is actually an acronym originating from when battle weary legionnaires tried to find a way to recover from their military wounds and ailments. 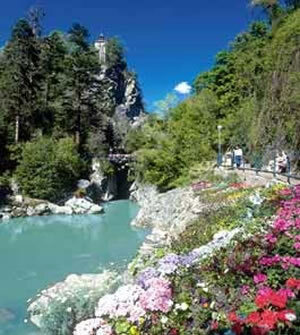 They sought out hot springs and then built baths or hot tubs there to heal their aching bodies. They named these bathing treatments "Sanus Per Aquam" (SPA) meaning "health through water." The Belgian town of Spa was founded for this purpose and was renowned throughout Europe in the 14th century. It is still in existence today as a spa town. Early pioneers of modern hydrotherapy in Europe were Sir John Floyer who wrote a treatise in 1697 - 'An enquiry into the right use and abuse of hot, cold and temperate baths', and John Wesley, the founder of Methodism, who published a book on hydrotherapy in 1747, and called it an easy and natural way of curing most diseases. He was, unfortunately, rather more keen to advocate cold baths than hot! A Bavarian monk, Sebastian Kneipp, further revived hydrotherapy during the 19th century. He is most commonly associated with the "Kneipp Cure" form of hydrotherapy, a system of healing involving the application of water through various methods, temperatures and pressures. Germans still practice his methods today and there are Kneipp spas in sixty German cities. Hot water's healing power has been revered for thousands of years in Asian culture, from China to Japan. The Japanese even have a saying, known as Mizu-no-Kokoro which translates: Mind Like Water, referring to a peaceful state of being in harmony with all things. 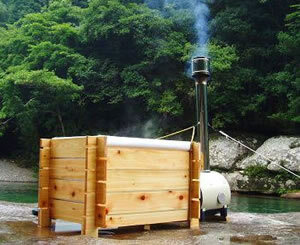 Hot water bathing in freestanding wooden hot tubs called ofuro has been a Japanese family custom for centuries. It originates from the concept that human beings experience the best possible conditions during gestation. Therefore, the tub is at least 2 feet deep, so that the person's spinal column is completely submerged and the body assumes a fetal position. The Japenese ofuro is placed in an open space preferably outdoors, amidst nature. The use of freestanding wooden hot tubs spread to the USA with the soldiers returning from World War II. the 1950s the first home hot tubs began to appear, mostly in California, USA. These hot tubs were makeshift vessels crafted from old redwood water tanks and discarded wine barrels. By 1965 hippies began flooding the coast of California with little money, and lots of free time on their hands and they started the proliferation of wooden hot tubs. Most of these tubs were homemade with smoke-belching wood fired heaters. Water circulation, filtration, and sanitation were a little hit and miss. When the shortcomings of wooden hot tubs became apparent, the first fibreglass shell hot tubs began to appear on the market around 1970. The gel-coat fibreglass construction had its own drawbacks, and was soon replaced by cast acrylic shells and, for the first time, it was easy for the owner to achieve water cleanliness. Manufacturers installed pumps, filters, control systems and, of course, jets, although the first hot tubs had very few of them. Thousands of years of using hot tubs for treatment have built an enormous amount of expertise, but the alleged benefits had little supporting evidence from science until approximately 30 years ago. More recently, a 2006 survey of research published in 'Annals of the Rheumatic Diseases' discusses the vast amount of high-quality studies showing the effectiveness of hydrotherapy. Hot tubs are routinely used by the medical professions today to treat rheumatic diseases, musculoskeletal disorders such as arthritis, ankylosing spondylitis, or spinal cord injuries and to help patients suffering spasticity, stroke and paralysis. Hot tubs are also now commonly used to treat orthopaedic and neurological conditions in dogs and horses.